The world at the beginning of the 20th century seemed for most of its inhabitants stable and relatively benign. Globalizing, booming economies married to technological breakthroughs seemed to promise a better world for most people. Instead, the 20th century proved to be overwhelmingly the most violent, frightening and brutalized in history with fanatical, often genocidal warfare engulfing most societies between the outbreak of the First World War and the end of the Cold War. What went wrong? How did we do this to ourselves? The War of the World comes up with compelling, fascinating answers. 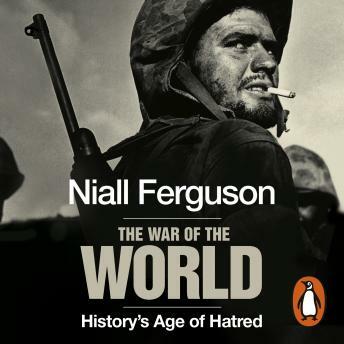 It is Niall Ferguson's masterpiece.